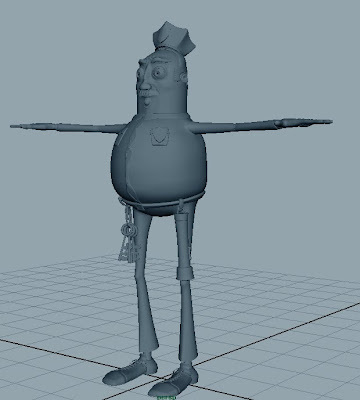 I'm trying to learn character modeling in Maya through a digital tutors title: Creating cartoon characters. Well, I'm in favor of specializing only at animation and always trying to improve myself by doing animation tests but modeling is a bit necessity when it comes to customizing characters, modeling props, getting more familiar with the 3d software; whether you're making a short film or a small animation test. I'll try to learn a little bit lighting and rendering too if I can finish texturing the character, which seems as a little bit tedious process according to the videos.